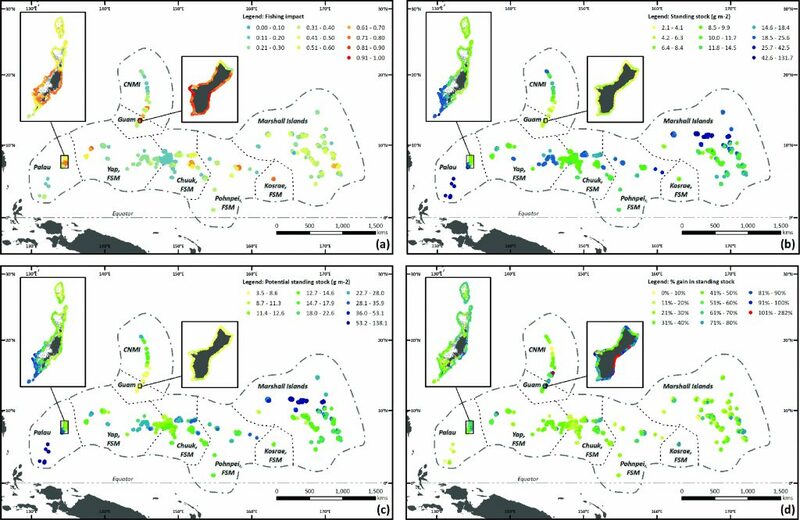 The MOW team in Micronesia has published a new paper, Modelling and mapping regional-scale patterns of fishing impact and fish stocks to support coral-reef management in Micronesia in the journal Diversity and Distributions. 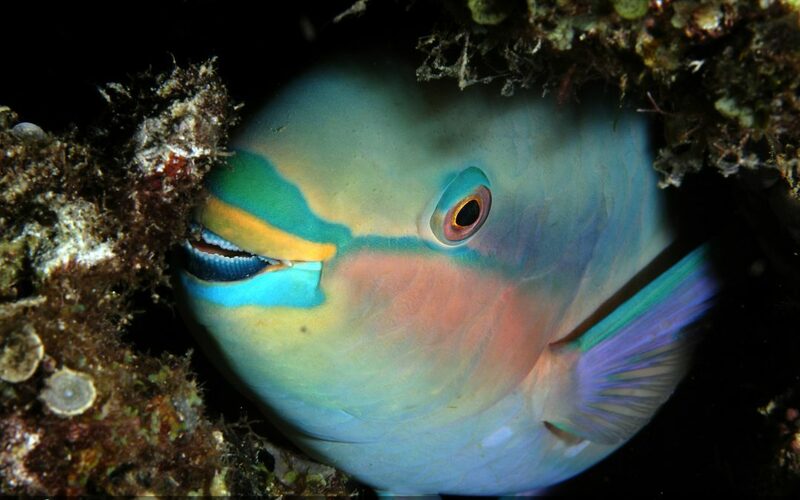 Led by Alastair Harborne of Florida International University, this study used parrotfish length from underwater visual surveys as a fishery-independent metric to model and map regional-scale fishing impact across five jurisdictions in Micronesia (Palau, Guam, CMNI, FSM and the Marshall Islands). The study then demonstrated how this metric could be used to model current and potential fish biomass, and examine the relative impact of anthropogenic and natural factors of fishes at biogeographical scales. The maps resulting from this study have already been used to support coral reef management in Micronesia by validating the selection of a large no-take zone in Northern Palau, and were also used to develop policy briefs to highlight key messages for a range of stakeholders across Micronesia. The team anticipates that they can also be used to support future marine spatial planning efforts in the region. View interactive maps and results from this study here, and learn more about coral reef fisheries in Micronesia here.